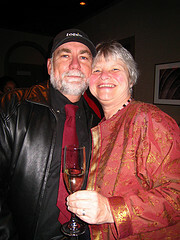 Welcome to Milt and Mary's events and information page. Mary and Milt like to travel, ride in hot rods, play and listen to music, and after all that have something to eat. Often Mary cooks for Milt. He does the dishes in return.